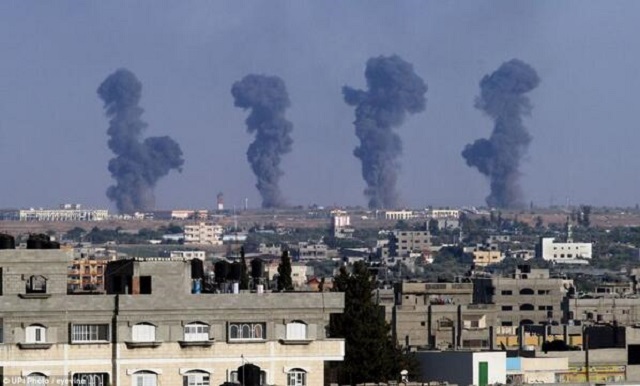 Israel recently launched Operation Protective Edge against Gaza due to the rise in military tensions between the two nations. Israel is not technically at war with Gaza as a whole, but rather Hamas, a Palestinian military organization. Some are now comparing the Protective Edge to Britain’s defense and counter-attacks during the Blitz. This comparison has been questioned, as it opens the door to comparisons between Gaza and Germany, as well as between Hamas and the Nazis. The comparison to the Blitz arises from the number of Hamas rockets being fired on Israeli territory, a number which has reached nearly two thousand to date. The Blitz, however, was much more destructive, with tons of explosives numbering in the tens of thousands being dropped on Great Britain. Protective Edge is also very different from the British response to the Nazis waging WWII. Not only were the Nazis more destructive than Hamas, but they were waging war on a global scale. Unlike Britain, Israel is not reacting to a worldwide threat but to a specific threat that arises from long-brewing tensions between Hamas and the Israeli Defense Force. It is also worth noting that, at the time of the Blitz, many believed that Germany would win the war. This comparison does not hold in terms of the conflict between Israel and Hamas, in which it appears that Protective Edge may leave more scars on the land of Gaza than Britain left on Germany at any point prior to the Blitz. The sheer number of deaths in Britain at the time of the Blitz were staggeringly larger than those experienced so far in Israel and Gaza combined. Just because the Hamas rocket attacks are not literally on par with the Blitz does not mean they are not to be taken seriously Both Israel and Gaza have waged a fair amount of destruction against one another since the onset of Operation Protective Edge. Hamas has a number of different missiles at their disposal, and Israel has also shown a degree of destructive capability. While nothing like the destruction seen during WWII, any growth in the conflict will result in a significant loss of life, The Telegraph reports. Since Protective Edge began, nearly three dozen troops have been lost to the Israelis, and close to a thousand deaths have occurred in total. The fact that the WWII comparisons that have been made are less than accurate does not make the death toll any less lamentable. The launch of Operation Protective Edge has led to worldwide controversy and debate between those who side with one nation or the other, but both sides ultimately have a lot to lose if a ceasefire is not negotiated quickly.